What is MVHR and why choose Thermsaver heating solutions? 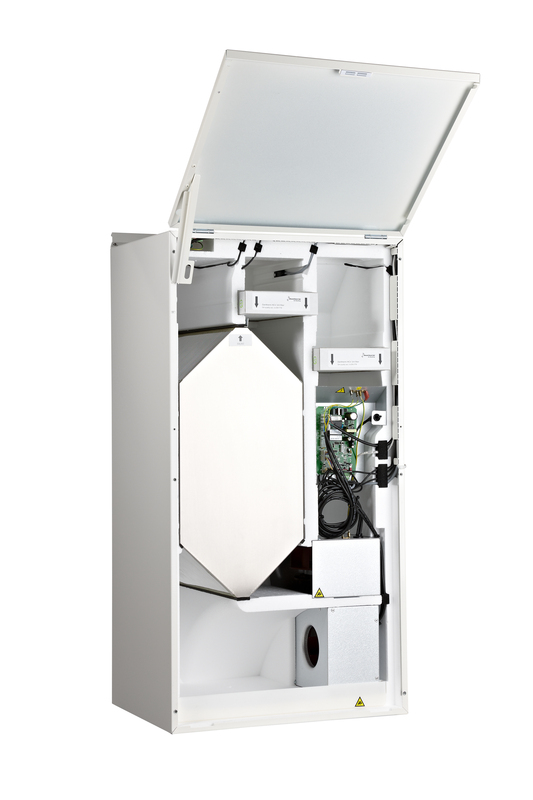 MVHR stands for mechanical ventilation heat recovery. It is a complete property ventilation system which provides low energy ventilation in new builds and re-uses heat that would otherwise have been lost within a property (up to 95%). It can also be incorporated into existing heating, ventilation and air conditioning systems. It works by placing a heat recovery unit within a property and connecting a system of ducting to each of the rooms within that property. It then extracts air from wet rooms within your property whilst simultaneously drawing in fresh air from outside. The heat from the extracted air is recovered using a heat exchanger within the unit. This heat is then reused to warm the filtered fresh air coming in through the unit from outside and is used to heat the dry rooms with your property, e.g. living rooms and bedrooms. 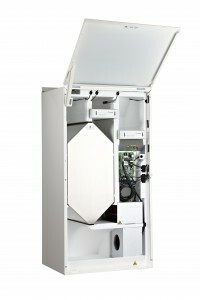 MVHR provides fresh air and also improves climate control. It can also save energy by reducing heating/cooling requirements, as well as providing high comfort levels within your property. MVHR requires ducting to be placed within your home, but with varying types of ducting on the market and it is important to know which ducting is suitable for your property. Flexible ducting has high air resistance, this makes it a poorer choice for use within an MVHR operating system as it may kink, restricting air flow. Rigid ducting offers lower resistance, which enables less fan power to be used. It’s also easier to install. Pre-insulated, rigid ducting is expensive and requires more space when installing but the long-term benefits outweigh the upfront costs. The way ducting is installed is also very important for the system to operate efficiently, at Thermsaver we pride ourselves on our expertise and guidance and will talk you through the process to ensure you’re completely satisfied. Prior to installing an MVHR system, it is typical, and best practice, for a heat-loss calculation to be produced for the property under discussion. This will take into consideration loss of heat through external surfaces, windows, leakage and conventional heating systems. The calculation will illustrate a before and after picture of how your property could benefit from MVHR by looking at the energy consumption of the property over a specific period of time. The size of the system required in the property is dependent upon many factors including, number of rooms and insulation.